On a sunny November morning, a group of dedicated volunteers helped rescue a stream near Damascus that was being invaded by non-native plants. 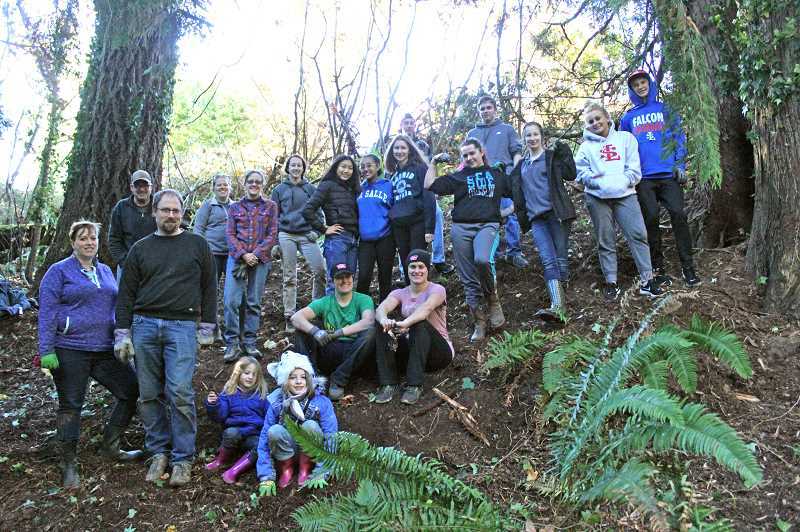 A crew of 22 volunteers, many of whom were high school students, spent last weekend at Noyer Creek, on the outskirts of Damascus, removing ivy on the upper slopes of the glen. Much of the ivy was pulled by hand and raked down the slope, clearing the area to eventually be replanted with native plants in the spring. 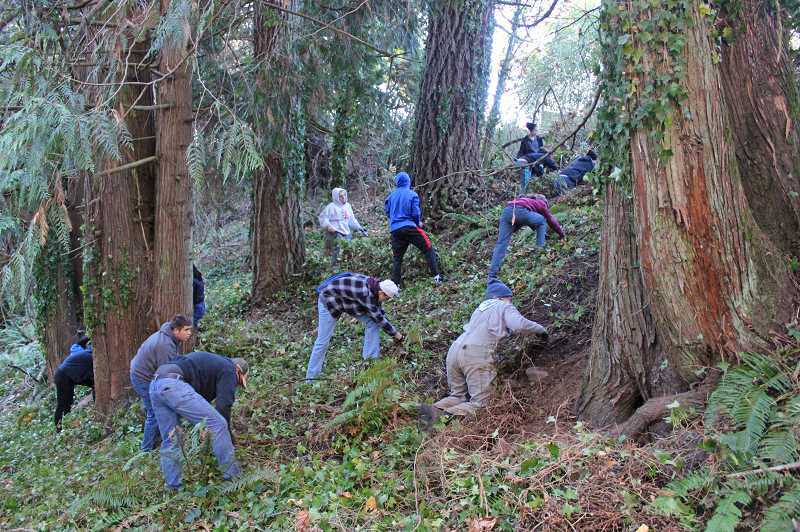 The work party was organized by the Clackamas River Basin Council.